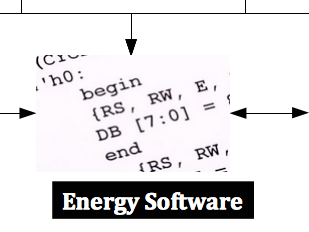 At the center of a modern, commercial energy platform is software. Software instructs and informs the Solana Hybrid Energy Commercial Platform. Solana comes at energy with deep domain experience in drivers, firmware, hardware, interrupt handlers, serial communication, TCP, data analytics, SQL, evolutionary computation, and application development. 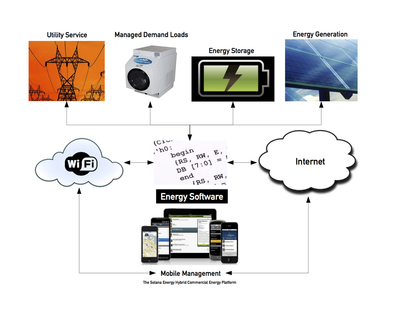 The Internet of electricity demands that each component be a secure, responsive, and a manageable variable in the equation that optimizes cost, efficiency, load, generation and reliability. Whether you have a single project or are a large engineering firm looking for energy and software as a service, Solana Energy is the right firm for you to differentiate your engineering company. Evolutionary Computation by the founder of Solana Energy.